Protection is often essential for preserving the last examples of rare habitats or species, especially during periods of intense urbanisation or change in land management. With administration that is sympathetic to local communities, such areas can be treasured for recreation and because they also preserve traditional land management. An ideal is for the safeguarded cultural knowledge and species later to be restored to areas that create buffers around the reserves, and even further afield to create green networks. Such outcomes require careful planning to ensure social tolerance as well as ecological understanding. This planning is crucial for the multiple land-use that can benefit communities and hence bring their support. Naturalliance will do all it can to encourage conservation through use, in order to reduce costs of strict protection and encourage restoration of nature’s riches to impoverished landscapes. BEST PRACTICE. An example from Estonia of local community benefit through reserve management. PRODUCTION. 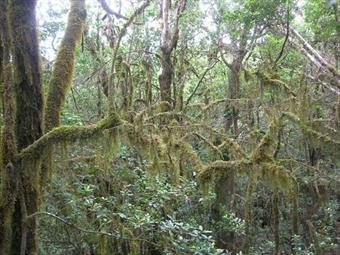 Protected areas often preserve past land management that favoured particular species, and thus may thus depend on a system that can record and share knowledge of that management. PROBLEM-SOLVING. Reserves are affected by alien species or harsh land-management in surrounding areas. Naturalliance will gather knowledge from other areas that have handled these issues. MAPPING of habitats and species is important for assessing how a reserve responds to management and external pressure; it thus enables planning to optimise visitor routes and mitigate other impacts. • Predict effects of external factors, such as climate change, and thus adjust to them.